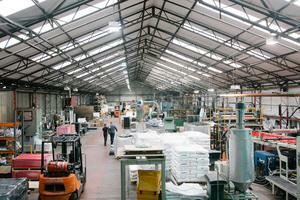 Make Works source manufacturers, makers, material suppliers and workshops. We are factory finders, on a mission to make local manufacturing openly accessible. Our platform allows designers and makers* to find manufacturers, material suppliers and workshop facilities in their local area. Something of an open library for finding production. * designers, makers, artists, engineers, entrepreneurs, micro-businesses, everyone and anyone that wants to create, build or repair physical things. We want to support small scale, local manufacturing, or distributed manufacturing, as an alternative to the consumption of mass manufactured products. 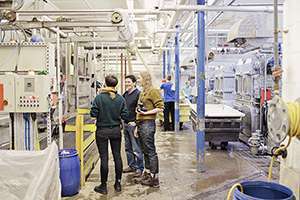 We think that the information we are gathering should be open and accessible, connecting people directly to making and repairing things, democratising access to production and investing in local economies, skills and community. We also believe that the internet should be for everyone, so all of our manufacturing information and content can be accessed by anyone, for free. This is licenced under Creative Commons Attribution Share Alike 4.0 International. Make Works was started in Scotland by Fi Scott. In 2016 we started teaching other places how to do the same thing - with the first pilot region in collaboration with Workshop Birmingham. Find out more here. Local manufacturing is better for the environment, sustains local economies and supports communities. We have found that the makers, manufacturers, technicians, craftsmen and factory owners on Make Works are some of the most incredibly skilled and passionate people we have ever met. Yet, it is really difficult to find these hidden local industries online. Building small scale production networks will help us develop environmentally sustainable systems for the future. From distributed production reducing the carbon emissions released in transportation and shipping; supporting local, resiliant economies; through to providing communities with access to tools and skills needed to repair existing things. Local manufacturing creates skilled local employment and supports other small businesses. On a practical level, it is difficult to source local manufacturers, workshops and materials. Creating accessible information about manufacturers inspires people to make, build and create new things in the world. Giving citizens access to information about manufacturing means they can make more conscious decisions about their consumption habits. It is easier to discuss projects if can visit manufacturers, meet face to face, and build human relationships with them. We've found that the quality and integrity of what can be designed and made improves if you understand the materials and production processes it is made with. 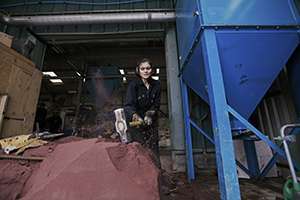 Local manufacturing allows businesses to take more responsibility for the working conditions and the environment that any manufacturing they commission affects. We want to open up manufacturing and make local, sustainable production accessible for everyone. Make Works operates as a non-profit, which we run as a company limited by guarantee. This means that we don't have any shareholders or shares; so key decisions can be based on what is best for the work. New Make Works regions are run independently by people who know and understand their city or area. We think that small is beautiful and that economics should work for the people and for our planet. We believe in the power of good design providing practical, useful and inspiring tools for ordinary people. We also have a huge respect for the possibilities of the internet; but are keenly aware of our responsibility to take care of this resource. We are inspired by internet activists like Aaron Swartz and try to get involved in open internet projects both online and through events like Mozilla Fest. Have a look at our bookshelf to see where our thinking comes from. 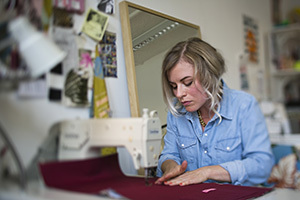 Make Works was founded by Fi Scott whilst studying Product Design at Glasgow School of Art. 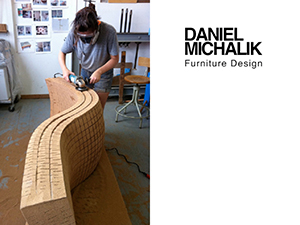 The idea developed working in a wood, cork and furniture workshop in Brooklyn, NY with Daniel Michalik. Here, she realised the value, power and importance of making. Returning to Scotland, Fi was frustrated with not being able to find the practical means of getting things made. 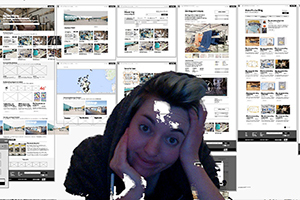 She scraped the internet, finding outdated manufacturing websites and a web of confusing engineering and industry jargon. 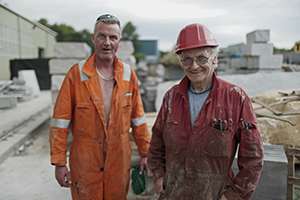 Before long she had taken to spending her afternoons walking around industrial estates on the outskirts of Glasgow, mapping the companies that still existed there. Make Works was researched and tested as a design proposal in Fi's final year at art school, which meant that Fi tumbled out of her degree show with a plan to get going. 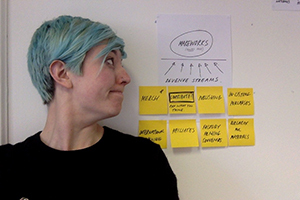 When she graduated, she worked from a borrowed desk in MAKLab, Glasgow for six months - figuring out how to get the idea off the ground. 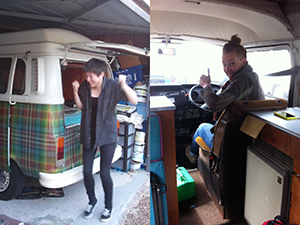 After six months of filling out public funding applications (and being knocked back from each and every one) - Fi decided to get on the road and prove that industry in Scotland really did still exist. She called up Ben Dawson, a furniture maker she had worked for in high school, and asked if she could borrow his VW camper van. She then asked designer Vana Coleman and photographer Ross Fraser Mclean to join her on the road. 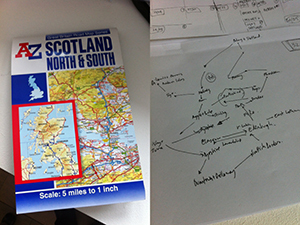 From that point an expedition began, visiting and mapping makers and manufacturers across Scotland. The team travelled over 3000 miles from the tip of Shetland down to The Scottish Borders over 3 months. 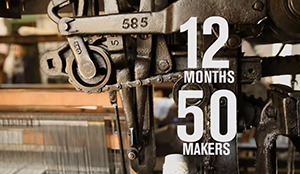 MakeWorks Tour from Make Works on Vimeo. Eight artists and designers in residence were invited to join for one week at a time on the road. The residency programme was funded by the Jerwood Charitable Foundation. 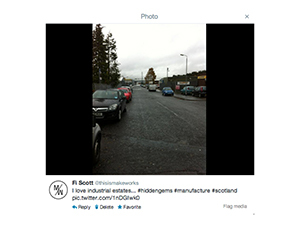 The #makeworkstour then received project funding from Creative Scotland. 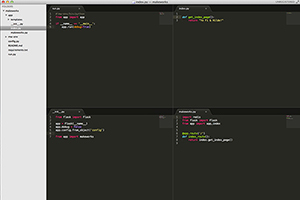 Working from Codebase, Edinburgh, Make Works collaborated with software developers, SEO experts and the Edinburgh Film Company to collate our information, build databases, edit films and build the first version of the Make Works platform. We designed, tested and built our prototype and launched in June 2014. 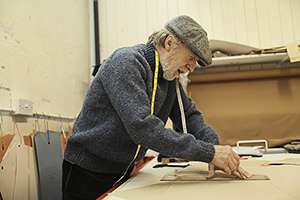 We quickly started to see the first few enquiries coming through; connecting designers and artists to local fabricators and manufacturers. The platform was working! 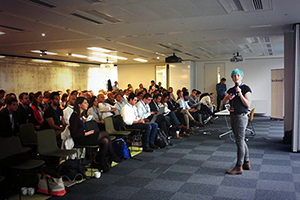 Make Works pitched, and joined tech accelerator programme, Seedcamp in August 2014. Operations manager, Lottie Burnley, joined the team in October as our first full time employee - and we got to work developing how we would build up the number of factories listed on the site. We were also invited to share the concept Make Works in countries like the USA, Russia, South Africa, Poland, England and France. Read about the Make Works year in 2014. 2015 was about continuing to improve the platform, discovering what we were really about, and as ever, finding more factories! We had the chance to run residency programmes with Hospitalfield, embedding designers and artists in manufacturing spaces. 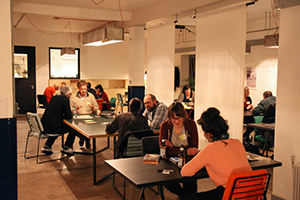 We've run Pecha Kucha nights, Maker Speed Daters, film screenings and the manufacturing Christmas Quiz. In October, we worked with Open Work, experimenting with new ways of using and browsing the Make Works dataset. We also started working on making ourselves self sustaining as a non profit, developing alternative revenue streams that can support our core work. Read about the Make Works year in 2015. 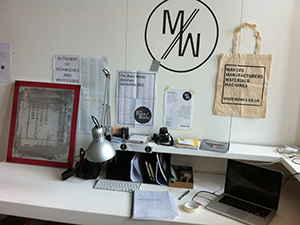 In March 2016 we opened up the Make Works platform so that people in other parts of the UK (and further afield) could start their own open-access local manufacturing directories. New regions can now use and build on our work, by being able to access our software, resources, and come on training and workshops built from our experiences and learning so far. Make Works Birmingham launched in March 2016. 2017 has been a tough year in terms of grants and fundraising. We launched both a donations and a Patreon page as an alternative way to support the work. MW Patreon Film from Make Works on Vimeo. New Make Works regions launched in Sweden in October 2017 and the UAE in November 2017. And the opportunity for our network to grow shows much potential with enquiries received from the UK, Europe, South America, the Middle East and Australasia. 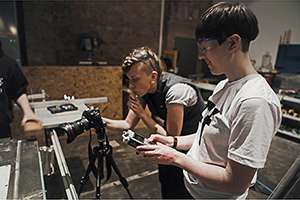 We've also continued to run Maker Speed Dater nights, helped establish a factory residency programme with Dundee Design Festival and started doing studio consultancy. This has lead to creating new platforms like Skills Works; an open directory of every informal course, class or workshop in Scotland - and delivering the Make Works extension an alternative manufacturing plug in for the IKEA website which was funded by FutureMakespaces at the RCA, in collaboration with Rectangle design.